If you’re the type of person who loves a bit of character in their hotel, the type person that is thrilled by the minor details of your room and service, and thinks accommodation should be an experience rather than a bed to sleep in, look no further than The Russell Hotel. Perfectly situated in the historic heart of the Rocks, you’ll find the Russell offering a modern accommodation and service, while retaining it’s old fashioned charm. Although it may not house very many rooms (29), the Russell is able to offer a personality and hospitality that larger hotels aren’t capable of. Each room is individually decorated with period furnishings, making for a unique experience every time. 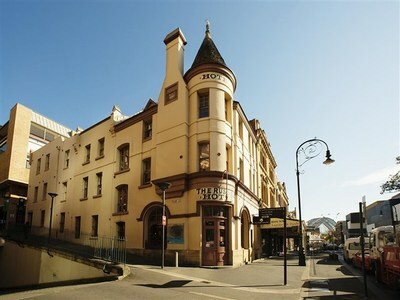 Apart from it’s unique character, the Russell also offers an included gourmet bed and breakfast served at the next-door Fortune of War (Sydney’s oldest licensed pub), access to their library and sitting room and a rooftop balcony which offers a spectacular view of George Street. But perhaps the best part of The Russell is how close it is to everything else there is to do. You’re right across the road from the Museum of Contemporary Art and 5 minutes walk from some of the area’s pubs and restaurants (including the Lowenbrau, the Argyle and the famous Pancakes on the Rocks). Then you’re 10 minutes walk from international tourist sites such as the Sydney Harbour Bridge, the Opera House and Royal Botanical Gardens. 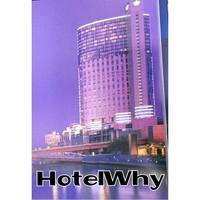 If this sounds like it appeals to you, consider the Russell as your next accommodation choice in Sydney.